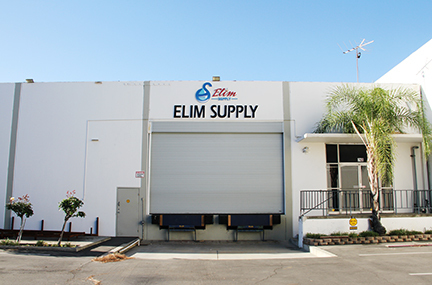 Elim Supply Corporation a family-owned business founded in 2001 in China specializing in manufacturing mops and yarns. In 2015, we set up a warehouse in La Mirada, CA to expand and continue the increasing business in the U.S. market. As a self-sustained manufacturer, Elim has complete control over the production, the quality and the pricing of the products. Elim is also endeavoring to innovate the green products. We use 100% recycled textile to reduce waste and translate them into durable mop yarns for cleaning. We strive to create value and performance without jeopardizing our environment. “Elim” is a name taken from Exodus 15:27 of the Bible. It is a beautiful oasis where there are twelve springs of water and seventy palm trees. It is our hope that our service can be an “Elim” to you, a sweet quenching well to satisfy you and your customers’ need with no hassles. BETTER PRODUCTS, FASTER LOGISTICS and A SAFER ENVIRONMENT is what we commit to our customers and to this society. We pursue to build a long-term partnership with our customers by proving quality services, reasonable pricing, reliable stocking and strategic sourcing. It is our privilege to serve you. WE ARE COMMITTED to provide our customers high-quality products with low prices, timely shipments and full customer satisfaction. If you are a wholesaler or distributor, we invite you to join us in this partnership. We will deem your business growth as our success.